Flamenco-Live and David Leiva present the book of the grand master Paco de Lucia , El Duende Flamenco. Ten sublime creation flamenco pieces with a perfect interpretation assumes, without doubt, a before and after for flamenco guitar and music, reaching unimaginable heights of composition and performance before. 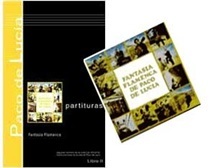 "El Duende Flamenco” compositions are masterfully elaborated and mark a new compositional evolution, Paco de Lucía continues to demonstrate with this album its objective to show something new with each record work. This album shows an advanced technique for the time Zapateado harmony marks a new formula of composition, modulated by different tonalities and modes, a very advanced work for the time. 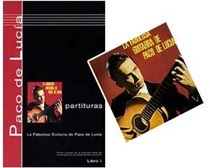 With these ten pieces, Paco de Lucia looks for more traditional styles such as the soleá, siguiriya or rondeña a new formula for the flamenco guitar´s composition development, getting a unique and exciting album. In this album we can hear the "master” playing with orchestra in several pieces, marking a new trend and putting an important point in flamenco guitar´s the history, therefore we find ourselves with a historical record.